Finally the summer is over and the cold seasons are coming in the northern hemisphere. Fortunately these seasons don’t bring only bad weather and low temperatures, but also good conditions to practice outdoor sports, obviously with proper clothing. 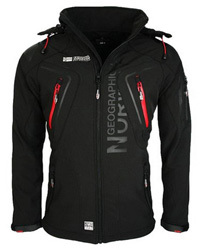 And here is where the brand Geographical Norway steps in to bring us some new jacket arrivals and make our winter adventures warmer and more trendy. 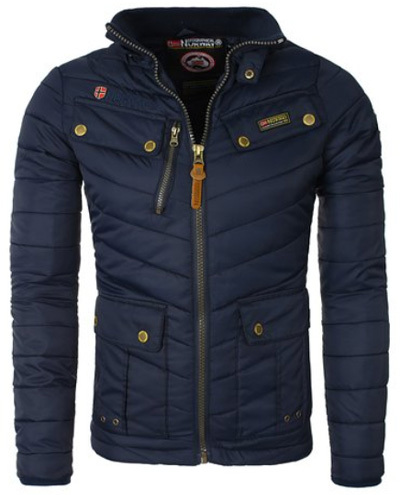 In this article we have picked 14 new jackets from this brand for women and men for this autumn / winter 2015 – 2016. High quality and great comfort. 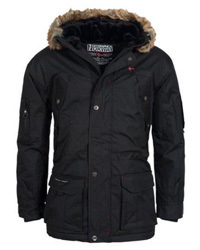 Keeps you warm and dry even in the toughest weather conditions. Hood with soft inner fleece and removable faux fur trim. Smooth with extra large handles, even when wearing gloves easy to close wide zippers. 2 large chest pockets, 2 front pockets with visible top and side access. 2 sleeve pockets, 1 large zippered back pocket. Material Faux Fur: 100% Acrylic. 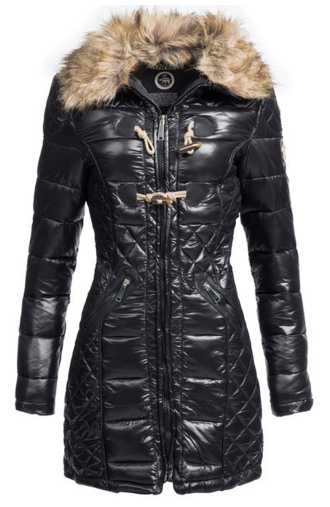 Elegant quilted jacket in a sleek parka style with fur hood. 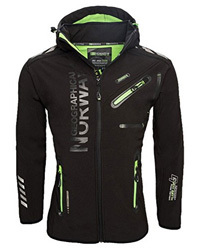 Water-repellent, super soft outer material, very comfortable to wear. 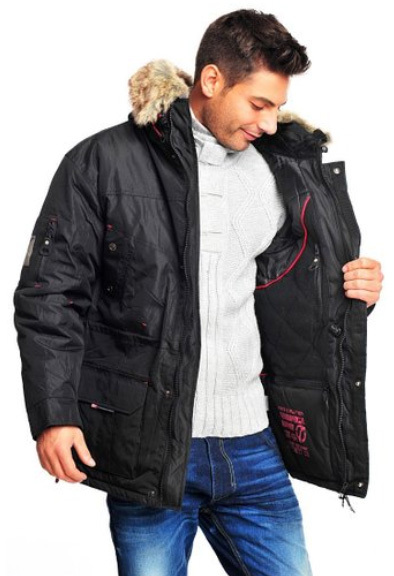 Soft, removable artificial fur collar. 2 side pockets, 1 inside pocket. Large metal logo patch on the left sleeve. Material: Shell 100% polyamide, Lining 100% polyester, Padding 100% polyester. 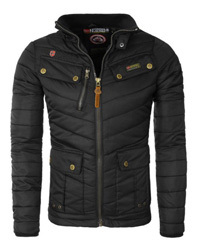 Material: outside 100% polyamide, inside 100% polyester. 2 chest pockets and 2 front pockets with snaps, 1 inside pocket. Hood not removable, fur removable with zipper. 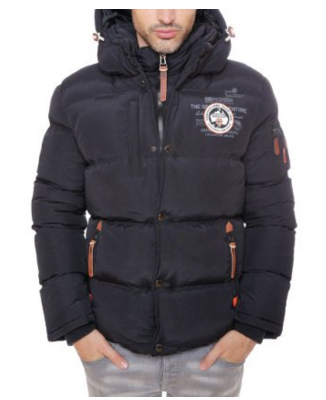 Warm and comfortable jacket for men. 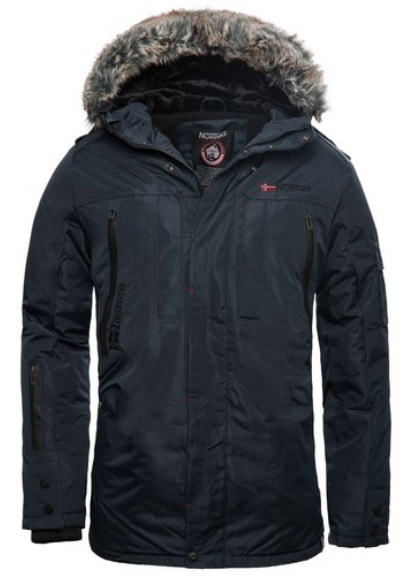 Detachable hood, high collar and zipper pockets. 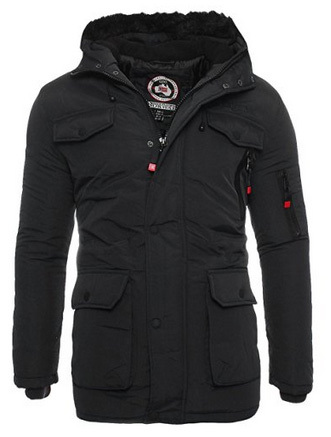 Material: 100% polyamide, lining 100% polyester. 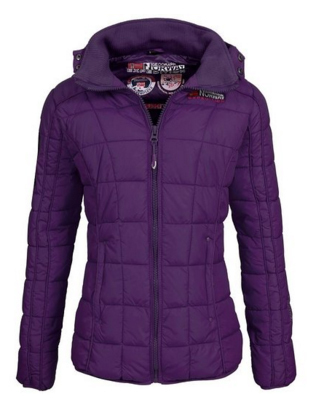 Sporty cool winter jacket for women. Hood with soft fur collar, removable. Double front pockets, double chest pockets, sleeve pocket. Water-repellent and very robust material. Material: 100% Polyester, Lining: Polyester. Faux fur on the hood, removable with zipper. Two large pockets with zippers. 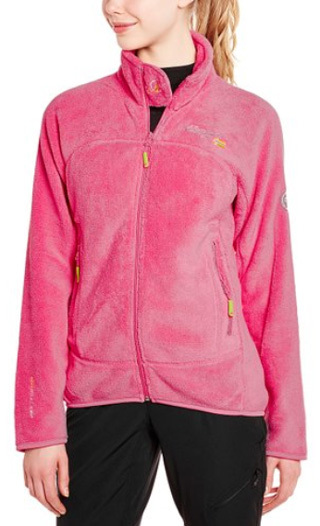 Fleece lined, wind and water resistant. High closing front zipper with additional snap aperture. Collar and hood with soft teddy fleece. 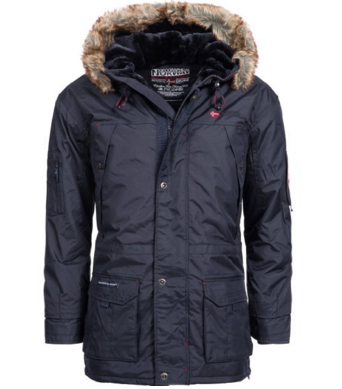 Lined hood with detachable fake fur. 2 side pockets with zipper, 2 chest pockets, 3 inside pockets. 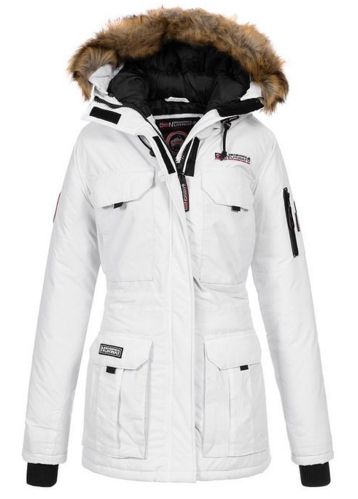 Material: shell 100% polyester, lining and padding 100% polyester, faux fur 100% acrylic. Colors: black, navy, fuchsia, red, purple. Detachable hood with drawstring and stoppers. 2 side pockets with zipper, inside pockets. Logo patch on the right arm and the hood. Material: shell 100% polyamide, lining 100% polyester. Colors: black, grey, pink, blue navy, red, orange, purple, taupe, turquoise, brown, white, light grey. Colors: black, blue, red, grey, kiwi. 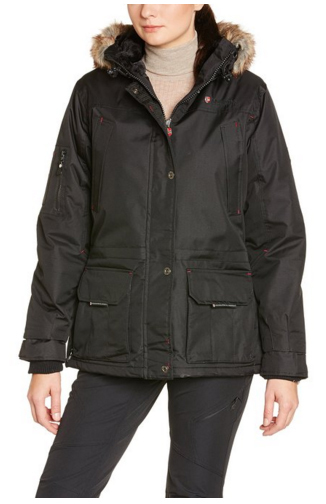 Wind, water and cold-repellent function jacket. Colors: grey, black, red, white, blue. 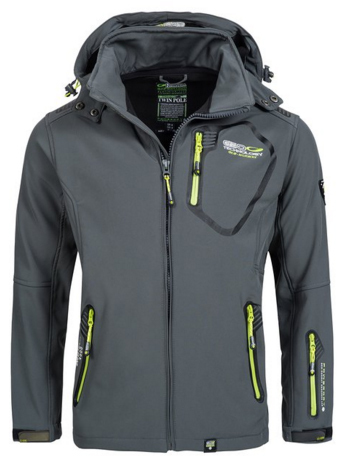 Sporty softshell outdoor jacket for men. Rain resistant zippers on the pockets. 2 side pockets, 1 chest pocket, 1 sleeve pocket. The zippers lying under the arms can be opened for cooling body. Logo patch on the arm. Collar can be closed with snaps for protection against wind and cold. Soft fleece inner lining in the back area. Lining on the sides made of mesh material (Mash). Art leather applications on the collar and shoulders. Material: uppers 100% polyester, lining 100% polyester. 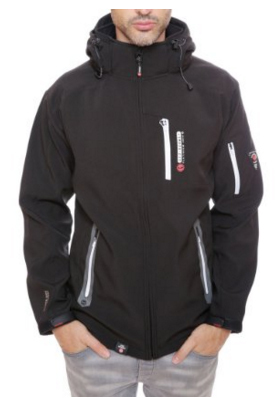 A must for cold and wet winter days. Zipper and overlying Velcro fasteners to close lined hood with drawstring. Double hand and chest pockets with zipper and Velcro. Small pocket on the left arm. Elastic rib trim at the sleeve ends. 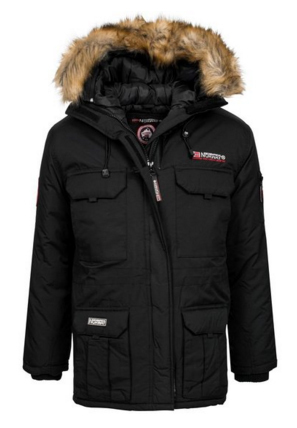 Material: shell 100% polyamide, lining 100% polyester, padding 100% polyester, faux fur 100% acrylic.